UpDog Kombucha started with two women with a passion for kombucha and healthy living. As college students, they began brewing their kombucha as a hobby in their dorm rooms. What began as two yogis' pastimes, has turned into a flourishing business that has spread across North Carolina and its neighbors. Brewed in Winston-Salem, NC, UpDog Kombucha is handcrafted and made in small batches to ensure the best product for our customers. 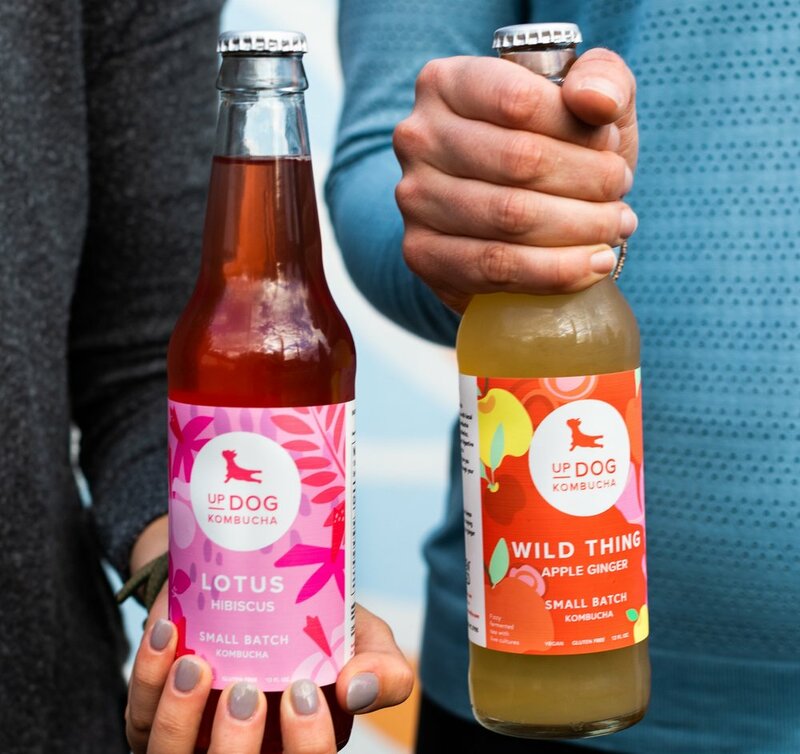 Using local ingredients and perfected brewing techniques, UpDog offers you a low sugar, low-calorie beverage packed with nutritional value and great flavor. From our 6 bottled flavors to our range of seasonal flavors on tap, we're sure there's a taste you're gonna love. Check out our current listings of flavors both in bottles and on tap.